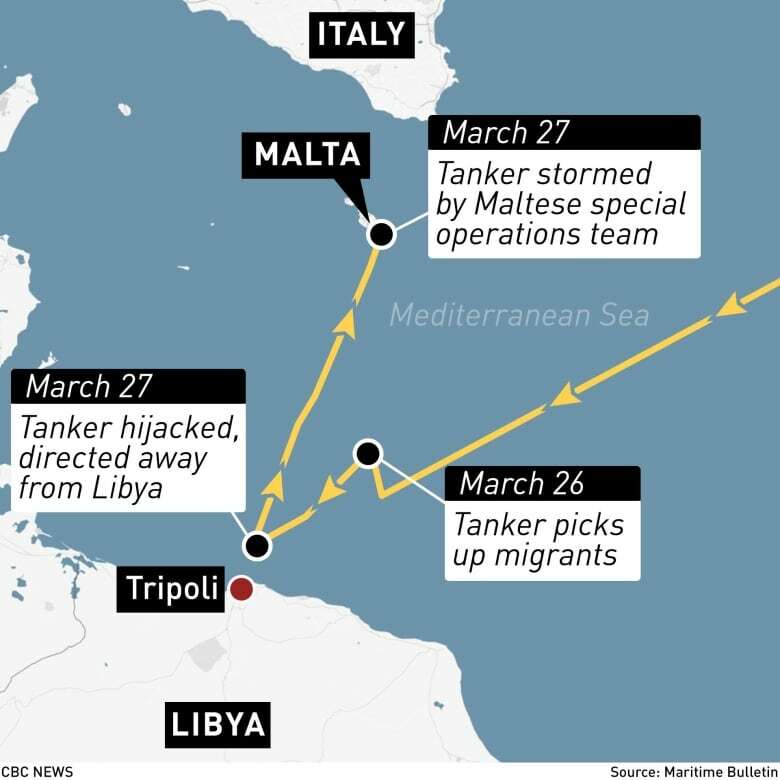 A Maltese special operations team boarded a tanker and took back control of it Thursday after the ship was hijacked by migrants it had rescued at sea. Italy’s hard-line interior minister described the migrants as pirates, but aid groups said they acted in self-defence, blaming instead the European Union’s policy of sending migrants back to lawless Libya. 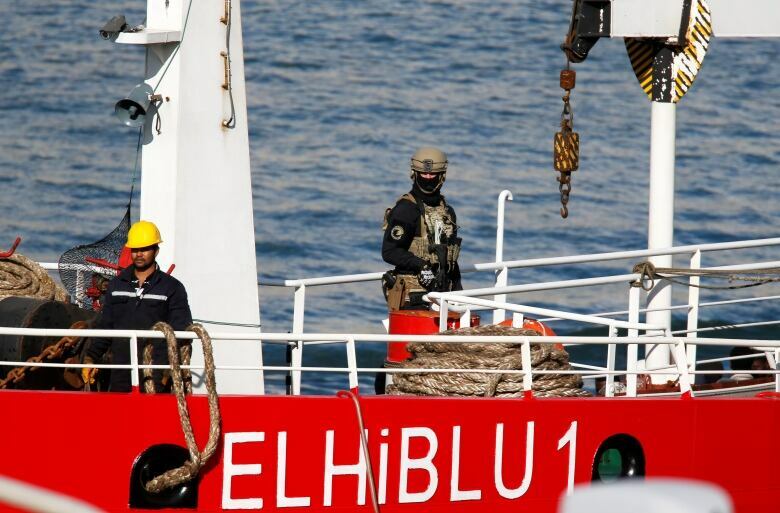 Armed military personnel stood guard on the ship’s deck and a dozen or so migrants were also visible as the Turkish oil tanker El Hiblu 1 docked at Boiler Wharf in the city of Senglea. Several police vans were lined up on shore to take custody of the migrants for investigation, and five migrants were led off the ship in handcuffs. In all, the Turkish tanker had rescued 77 men, 19 women and 12 minors, including toddlers, at sea, Malta officials said. One pregnant woman and one child were being treated at a hospital as a precaution. Authorities in Italy and Malta on Wednesday said the group had hijacked the vessel after it rescued them in the Mediterranean Sea, and forced the crew to put the Libya-bound vessel on a course north toward Europe. Maltese armed forces established communications with the captain while the ship was still 50 nautical kilometres off shore. The captain said he was not in control of the vessel “and that he and his crew were being forced and threatened by a number of migrants to proceed to Malta,” the armed forces said. No details were given of what force or threats were used, and there was no immediate word on the condition of El Hiblu 1’s crew. But a military official not authorized to speak to the media said the migrants did not have weapons but that the captain and crew were outnumbered and forced to surrender. Italian Interior Minister Matteo Salvini described the takeover as “the first act of piracy on the high seas with migrants” as the alleged hijackers. Salvini, who insisted the ship would not be allowed to dock in Italy, on Thursday praised the Malta’s interception. “Immigration is managed by criminals and should be blocked by any legal means necessary,” Salvini was quoted as saying by the Italian news agency ANSA. Humanitarian organizations strongly object to that characterization and say migrants are mistreated and even tortured in Libya, and have protested protocols to return migrants rescued offshore to the lawless northern African nation. Both Italy and Malta have refused to open their ports to humanitarian ships that rescue migrants at sea, which has created numerous standoffs as European governments haggle over who will take them in. Mass migration to Europe has dropped sharply since 2015, when the continent received one million refugees and migrants from countries in the Middle East, Asia and Africa. The surge created a humanitarian crisis in which desperate travellers frequently drowned and leading arrival spots such as Italy and Greece struggled to house large numbers of asylum seekers. EU member countries, responding to domestic opposition to welcoming immigrants, have decided to significantly downscale an EU operation in the Mediterranean, and have decided in principle to withdraw their ships, which would mean continuing the mission with air surveillance only. A formal decision has to be made by Sunday, when the mission mandate expires. Last November, dozens of migrants of a variety of nationalities seized control of a container ship that had picked them up in the Mediterranean, barricading themselves inside and refusing to disembark in the Libyan port of Misrata. After 10 days, Libyan authorities forcibly removed them from the ship and brought them to a detention centre.